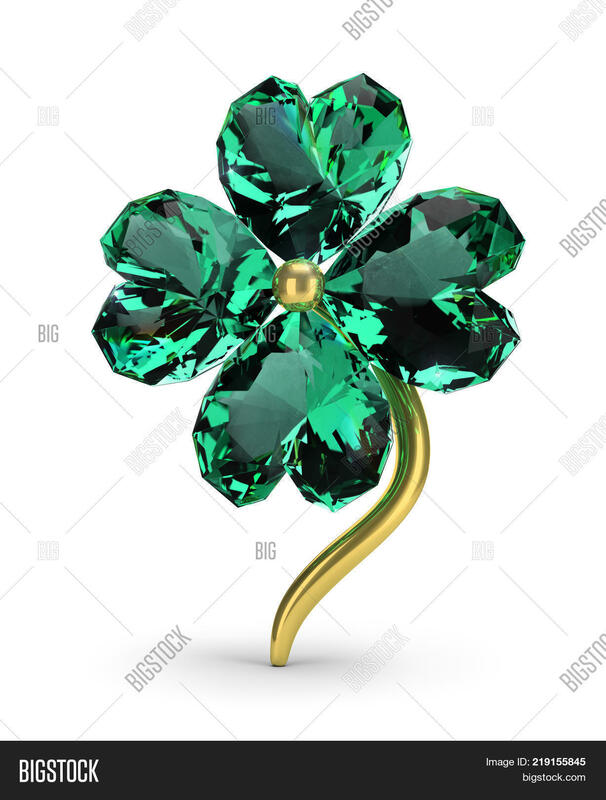 Brooch in the form of an emerald clover. St.Patrick 's Day. 3d image. White background.